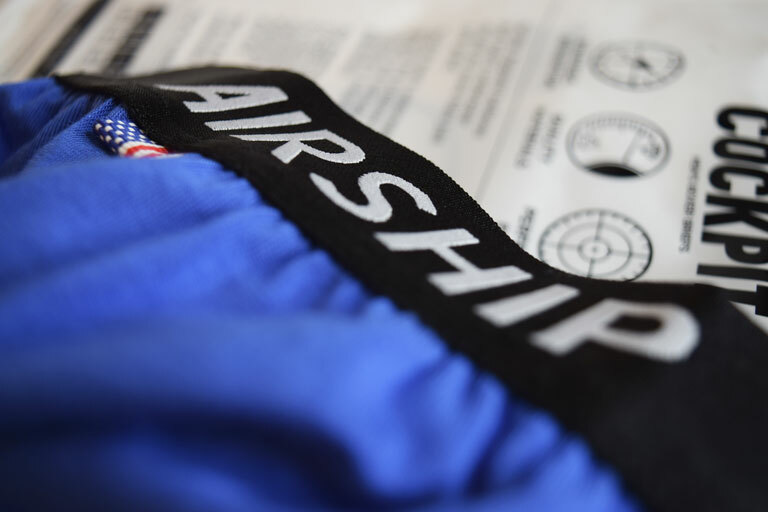 Today’s review is for the boxer briefs of Airship Apparel. 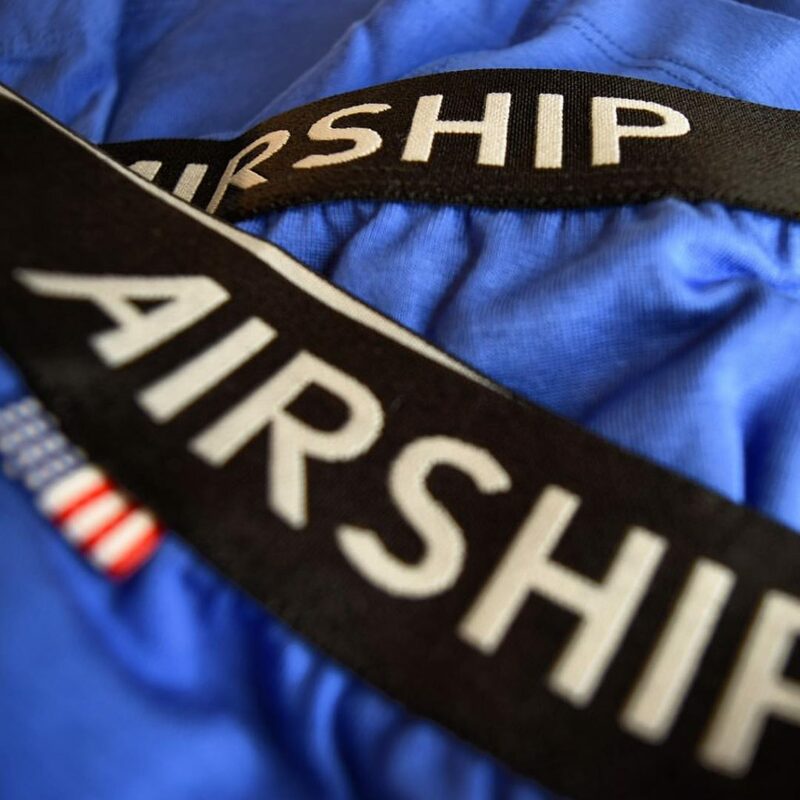 Airship Apparel is a young brand based in the USA launched in 2016 with a mission to create underwear for men that eliminate friction, and the need for readjustment, by creating a redesign of classic boxer briefs with a patent pending pouch design. As most of you know by now, we love presenting new brands and innovative designs. So I got very happy to receive a pair of Airship Apparel to try. This was the first time I heard about this brand, even though the idea of creating The underwear that offers The ultimate comfort is not new to me. Over the years I have seen quite a lot of brand working on pouch designs offering a variety of fits, spaces, enhancements and so on. I bet there must be dozens of patents out there for pouches with pockets, cords, tapes and more design elements claiming the perfect fit. The truth is that every man is different and making the perfect pouch that fits all men is practically impossible. So, it is up to the wearer to try it on and see if a specific pouch design fits him well or not. Comfort is a matter of fit, fit in pouches is a matter of volume and volume is different for every man. But before I start describing the truly innovative pouch of Airship Apparel boxer briefs let’s talk about the packaging a little. My blue boxer briefs arrived in a very nice, branded, white plastic bag. I know we almost all hate plastic but it is still very common among underwear brands because it protects the fabric well. The design of the bag has a transparent part at the front through which you can see the colour of the underwear. There is a quirky size sticker and on the back quite a lot of information about the brand and the underwear design. 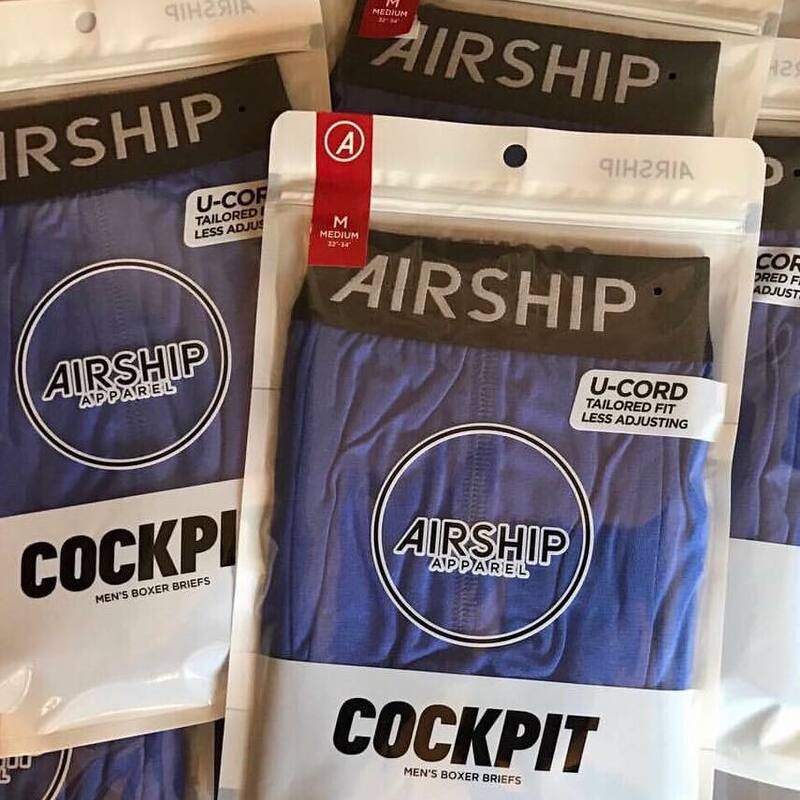 The boxer briefs of Airship Apparel are called Cockpit in an obvious word play referring to the pouch they created. The materials they used for it are some of the best in the market today: Micro Modal by Lenzing, a leading European company of top quality and high standard fibres and elastane by Lycra, a leader in elastane fibre production. As you would expect, the fabric is really very nice. Micro Modal feels almost like silk to the touch, has moisture wicking properties and lasts longer than cotton. Moreover the colour the brand has chosen for this boxer brief is a very nice blue that I find very masculine and easy to wear under a pair of jeans. The threads and stitching have exactly the same colour as the fabric a sign of good manufacturing. 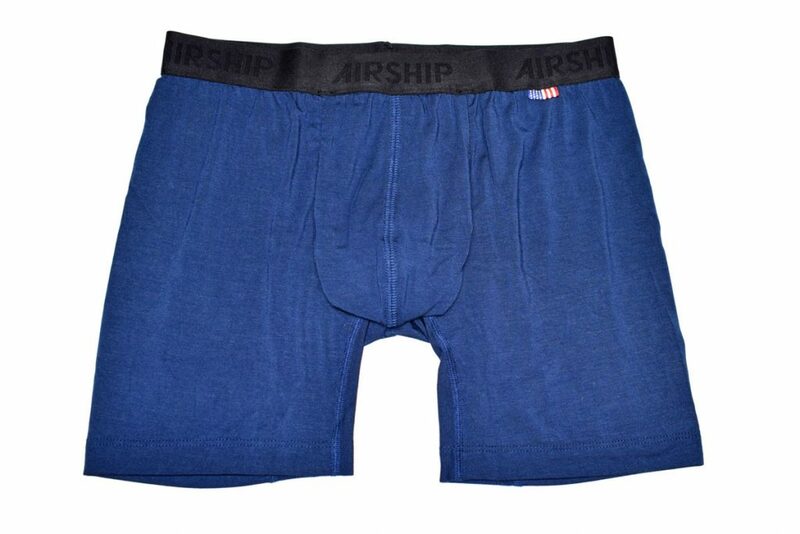 This pair and every boxer brief of Airship Apparel is made in the USA and there is a little tag/flag on the left sewn under the waistband to prove it. Apart from the fabric, very important in making a pair of underwear comfortable is the washing labels. Brands are obliged by laws to put onto every garment washing instructions and the fabric composition. Airship Apparel put all those by heat transfer on the back of the garment avoiding any itchy labels. The waistband is also quite soft and rather thin that makes is very bendy. There is a small bump on the back where the band is cut and put together but it is covered by plenty if thread to smooth it out. The cut is more of a high rise boxer brief that means that sits better if you wear it right higher that your hips. And now the most interesting part of the underwear, the pouch. It is quite different. There is a deep contouring from top to bottom. Along with a central, flatlock seam there is one more vertical to create even more space. The pouch is double ply, but because Micro Modal is a rather thin fabric you don’t notice an excess of material. All around the pouch there is a rubber tape, the brand calls it U-Cord. 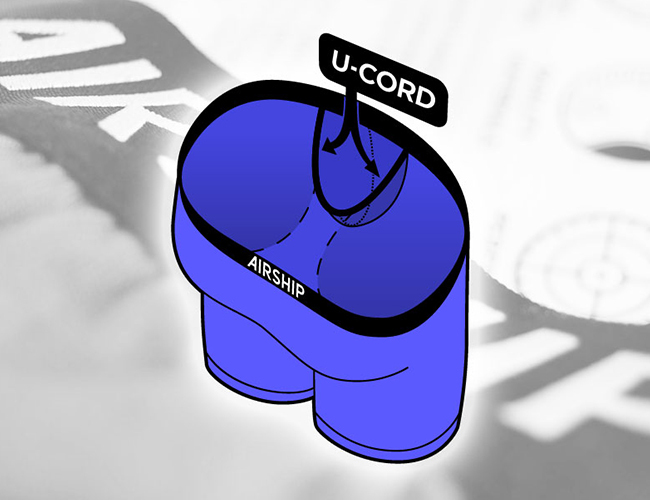 U-Cord has a U shape and is sewn inside the garment, so it covered completely by the micro modal based fabric. The idea is very good, it does create a nice shape but the contouring is too much for the average guy. Moreover the fabric is very stretchy which means it creates even more space than the pattern provides. If you are a well endowed guy you will fall in love with it but if you are an average guy you end up with a saggy pouch and no support at all. I remember having a conversation with a reader a few months ago who was struggling to find a pair of underwear with a pouch spacious enough to fit him. We both agreed that all the innovations in the pouch design, in the last few years, are for the average and smaller than average guys. There are very few designs for bigger guys and it is them who suffer most from restricting underwear and poorly designed pouches. Well, my dear friend, if you are reading this, this is exactly what you were looking for! Go get yourself a few pairs of Airship Apparel and you will feel the difference! Overall, I think Airship Apparel offers very good underwear for well endowed guys. As a true American brand the sizing is generous so please take a look at their size charts before you buy. The fabric is fantastic and the colour blue they chose (they call it Admiral Blue in their e-store) is very nice. The retail price is 32.5 USD which is very reasonable considering the materials and special construction.